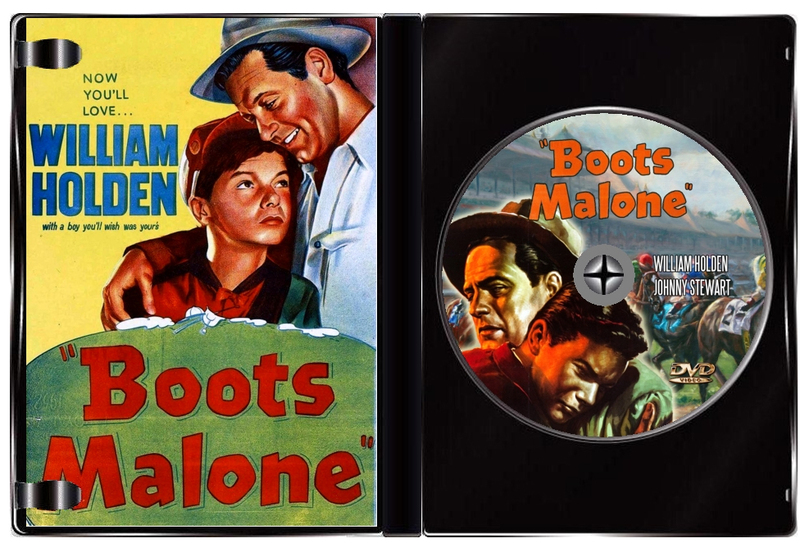 Boots Malone (William Holden) is a horse jockey agent who goes from living at the Ritz to living in a room at the stables when his star jockey is killed in an accident. After nearly three years, he has yet to find a replacement and is in debt to some very rough people. Along with his cronies at the track, he manages to buy a horse that's a bit of a sleeper. 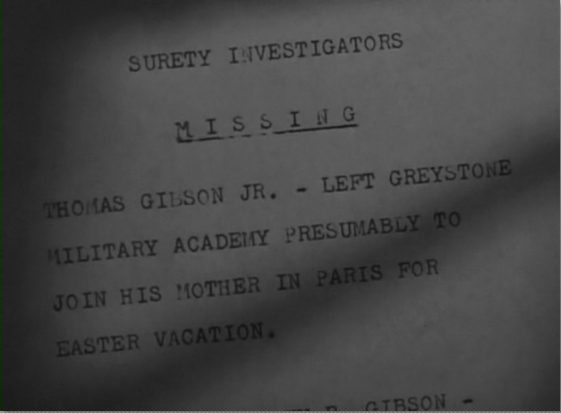 Their hopes of cashing in big take a positive turn when an eager young man, Tommy Gibson (Johnny Stewart), shows up out of the blue wanting to learn how to race horses. 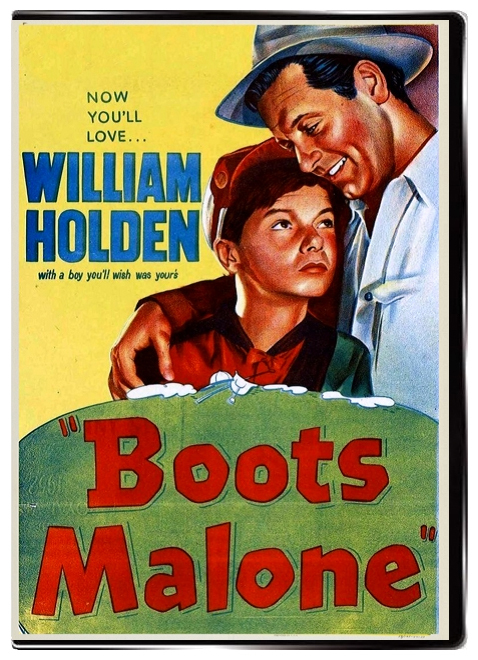 Boots decides to train the boy, who turns out to be an unhappy runaway from a strict wealthy family. As Boots must tangle with Gibson's family, gangsters fed up with debt also tell Boots he must throw the big race in favor of another horse! William Dieterle's directs this endearing picture that is filled with colorful characters who are engaged in shady dealings around the horse track. 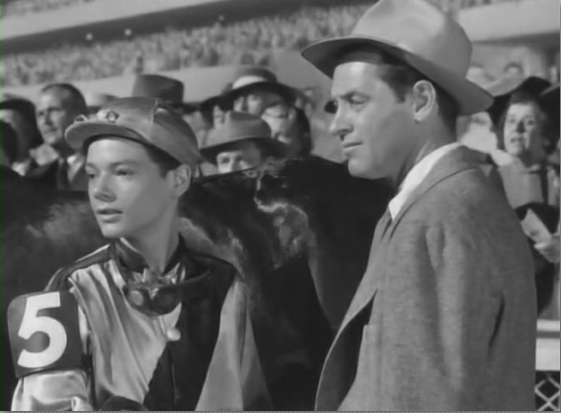 Best of the lot of riff-raff is William Holden in the role of the once-burned-twice-cautious jockey agent who at first swindles, but then gets attached to, his new and innocent boy. By the end of the film they have formed a very moving father/son relationship. Holden's story is one of redemption and healing - he not only lost his star jockey but also his wife and child in a car accident. It is heartwarming to watch him transform from cynical self-centered grifter into a genuine father figure as he teaches young Stewart the ins-and-outs of horse racing. Stewart's character likewise has lost his father and has an emotionally-distant mother who cares little for his wants and desires - he clearly aches for Holden's love and acceptance. Adding to the procedings is Stanley Clements as a loud-mouthed ex-jockey who is as ratty and funny as they come, and Basil Ruysdael as the old horse-trainer who is politely larcenous and serene. Johnny Stewart, who went into this picture from the stage role of the Prince in "The King and I," is very good as the eager new jockey. Ralph Dumke, Hugh Sanders and many others are excellent in minor roles. 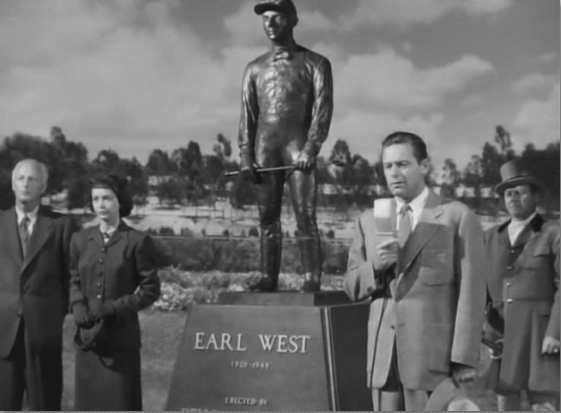 This film is also lauded as being one of the most realistic depictions of what life is really like around around a horse-racing track - with no shortage of resourceful and intelligent characters working all manner of angles trying to make a buck.